EOTech has been manufacturing weapon sights for 20 years or so, and this is their most affordable model which is also night vision-compatible. The model 552 is one of EOTech’s most popular holographic sights. 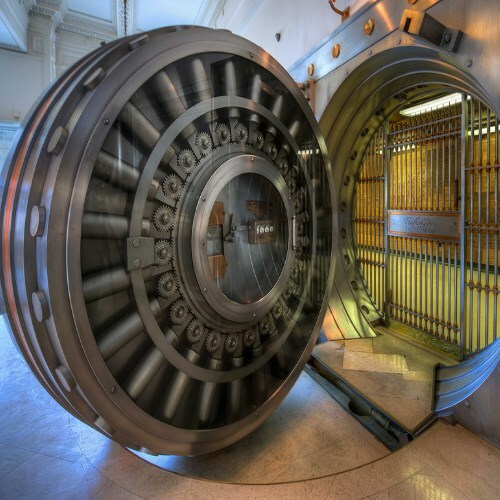 It is used by military personnel, police officers, and government agents. Although its primary designation is for military/police use, John Q. Citizen is very fond of this sight. Civilians enjoy the many advantages that this sight brings with it. The EOTech 552 sight is meant for close to mid-range encounters, and it works like any other holographic sight. A laser beam is used to project an image. This image is the reticle which the shooter sees in the holographic window. In this case, the reticle is that of a red dot and ring. 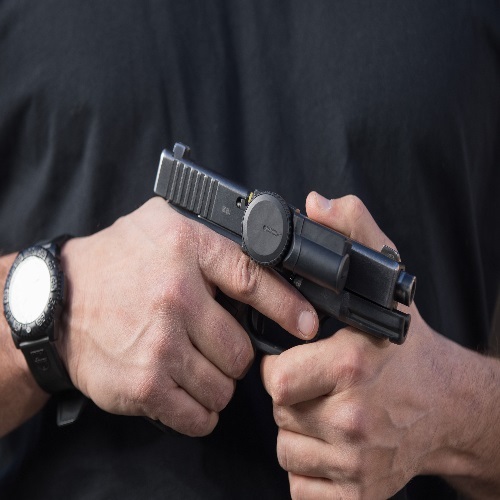 The ring is ideal for close-quarter battle situations, and the dot is there for use in long-range engagements. There are adjustment dials for windage and elevation, and there is also a dial for toggling brightness intensity settings. Note: this sight is available in one other model – the 552.XR308 – which is meant specifically for use with the M240 machine gun. If you purchase this model, make sure you comply with the suggested firearm platform and configuration. 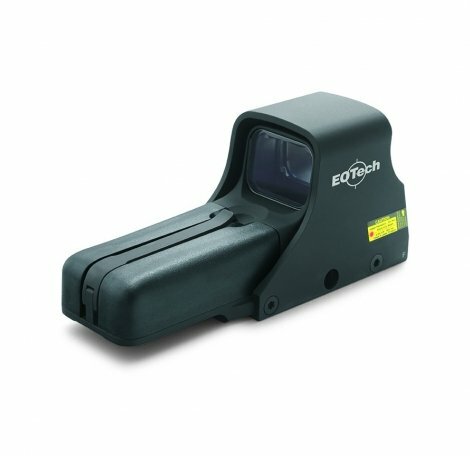 More details can be seen at EOTech’s website. The 552 is probably one of the most user-friendly sights you could choose to work with. The buttons are accessible and easy to manipulate. They are used to turn the device on and off, and to transition between daylight and night vision settings. Once you set the zero – that is it. It will not budge, and it will not move. 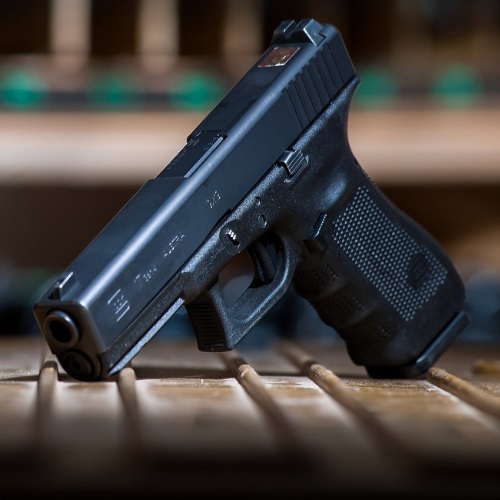 This optic provides a wide field of view, quick target acquisition, and – unlike other red dot sights – no light gets projected onto the target itself. 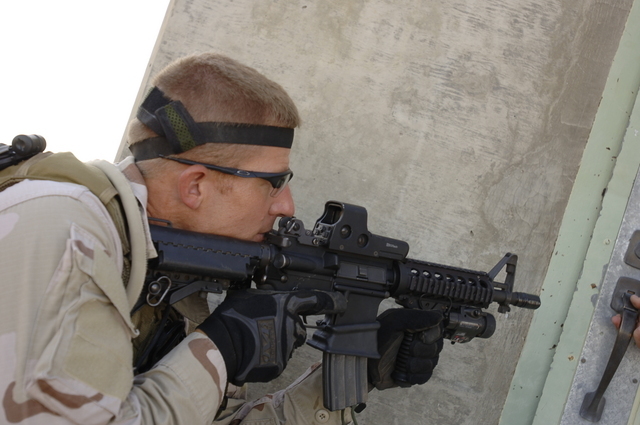 With the EOTech holographic sight, you don’t get tunnel vision, light distortion, or blind spots. Just a nicely, brightly-lit reticle. The 552’s hood is made of sturdy, durable aluminum, and it protects the holographic window in which the reticle pattern is embedded. The housing of this optic has to be able to take some punishment, since it is designated for military and law enforcement use. The 552’s adjustment dials are sunken in, so there is no danger of snagging anything when you are on the move. Obviously, EOTech test all of their products before manufacturing them. The military puts those devices through their own tests and trials, before giving them the green light and approving them for deployment among armed forces. Mounting the 552 is also incredibly fast and easy. Loosen the weaver bolt, mount wherever desired, tighten the bolt, and that is it. All that is left is to zero the sight. No special tools required, with the exception of something which can be used to loosen and tighten the bolt. Turning on the sight using the UP button – this will cause the device to shut down 8 hours after the most recent push of any control button. Turing on the device using the DOWN button – this will cause the sight to automatically shut off after 4 hours. Maintaining this device involves replacing batteries when necessary, and cleaning the sight’s battery compartment, as well as its exterior housing. This can be done with any soft cloth. No lube, oil, or solvent-type cleaner should be used, as they can severely damage the sight’s functionality. Cleaning the sight’s surface is also necessary, every so often. Lens / glass cleaning fluid is the way to get the best results. Never clean the glass with a paper towel or dry cloth. Always make sure you use something damp for cleaning the surface. There is no need to lubricate the sight’s moving parts. They have been permanently lubricated at the factory, and attempting to lube them could render the optic useless. EOTech products are made in the U.S., and come with a limited 2-year warranty on defects in material and workmanship. EOTech will replace and / or repair the product, depending on the issue at hand. The manufacturer suggested retail price for this item is $569, but it can be found for less than that in various place online and offline. So, the bottom line is this: if you need a short to mid-range sight, but do not want to compromise on quality or reliability by purchasing an inferior product or cheap clone-like knockoff – the EOTech 552 might be the sight you are looking for. These devices cost a lot, but they are worth it. Do your research, ask around, and find out what you will be using your sight for. Do this first, because this sight won’t fit every single application. If you feel the 552 is the sight for you – just go ahead and order it. It will not let you down.